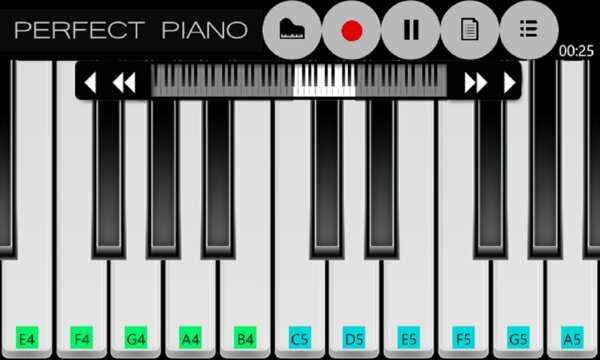 Use this app to learn to play piano with realistic instrument sounds. • Support Full Keyboards of Piano. • Single Row Mode. Dual Row Mode. Two Player Mode. 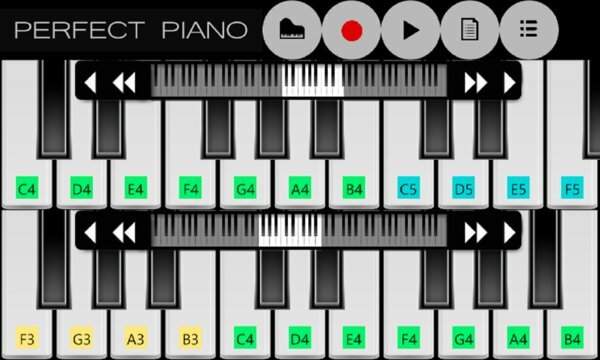 • Six Keyboards Program: Grand Piano, Bright Piano, Music Box, Organ, Rhodes, Synth. • Sharing recordings to friends. • Set the recording files as Ringtone. • More Learn to play sample songs downloadable. Song library update every week. • Play Piano online with your friends or Strangers around the world. • Support for External Midi Keyboards over USB. You can play Perfect Piano via the external midi keyboard (such as YAMAHA P105, Roland F-120, Xkey, etc) over USB. What are you waiting for? Let the music come out under your finger! G5 A5 B5 D6 D6 E6 D6 B5 G5, G5 A5 B5 B5 A5 G5 A5. G5 A5 B5 D6 D6 E6 D6 B5 G5, G5 A5 B5 B5 A5 A5 G5.